A native of Denver, Colorado, Brad was raised in the Baptist Church. In addition to gospel music, he spent countless hours listening to the music his parents played (Coltrane, Cannonball, Bird, James Brown, Marvin Gaye, and Nancy Wilson). It’s no wonder that at a very young age, he was able to combine gospel, jazz, and R&B into his playing. As a child, Brad recalls spending time looking through old year book photos of his father in the high school jazz band, looking sharp and clean. He was so enamored by these images that he found himself opening the case, time and time again, to see the beautiful horn from the photos. He finally told his father that he just had to play. That very day, his father had the horn repaired and signed Brad up for the Denver Junior Police Concert Band. That began his long love affair with the saxophone. While studying the saxophone, Brad spent his youthful years listening to live jazz at many Denver music venues. One in particular was named “El Chapultapec,” owned by Jerry Krantz. Krantz loved jazz and would allow young musicians, such as Brad, to listen, learn, and sit in. It was here that Brad first heard many of his early mentors and local legends (Billy Tolles, Billy Wallace, Homer Brown, Nat Yarborough, etc.) He also got to hear and study with other jazz greats, such as trumpeter Clark Terry and saxophonists Eddie “Cleanhead” Vincent. Leali received a Bachelor of Arts degree in music education from North Texas University in 1989, where he played with the world-renowned One O’clock Lab Band. Upon graduating, the Harry Connick, Jr. Orchestra immediately recruited him. In his tenure with the orchestra (1989-1994), Brad was the lead alto saxophonist and the musical director. During this time, they toured the world and the orchestra recorded two highly acclaimed CDs (e.g., Christmas CD & Redlight, Blue light). By invitation of Frank Foster, Brad then joined the Count Basie Orchestra in 1995. (later under Grover Mitchell 2003). During his years with the group, the Basie band was a two-time Grammy award- winning orchestra. It was one of the greatest musical learning experiences he’d ever had. Working with older musicians only deepened his appreciation of the importance of this music. Spending time one-on-one with the likes of Joe Williams was unforgettable in these formative years. ​ During his time in New York City, Leali was a staple in legendary jazz venues like the Village Vanguard, Blue Note, Jazz Standard, Iridium, and Birdland. 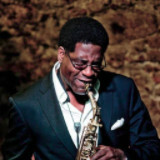 He has also performed in Lincoln Center in the orchestras of jazz legends Nancy Wilson and Benny Golson. Brad’s desire to pay it forward and help keep jazz alive led to him earning a Master’s degree from Rutgers University in 2005. He was quickly appointed as Director of Jazz Studies at Texas Tech University. While there, several scholarships were established in his name, including the “Brad Leali Endowed Jazz Scholarship”. In 2008, Brad joined the esteemed University of North Texas (UNT) faculty as Professor of Jazz Saxophone, where he directs small group ensembles, jazz performance fundamentals, and jazz saxophone. As the recipient of the UNT “Creative Impact Award” in 2014, Brad was recognized as a distinguished faculty member for his outstanding contributions as an educator who perpetuates the value of creative development and performance. Brad Leali has also had a prolific recording career. His first solo recording was Priority Soul! in 1998 on the New Jazz Renaisssance Recordings label. In 1999, the Count Basie Orchestra won a Grammy award for Count Plays Duke with Leali receiving his own nomination for his solo work on the classic Billy Strayhorn composition, “The Star-crossed Lovers.” His discography also includes Live in Europe (Brad Leali Quartet, 2004); Brooklyn Soul Organization (also produced by Leali, 2004); the critically acclaimed Maria Juanez (2006), which features his own compositions and eighteen-piece jazz orchestra; and DA’s Time (Brad Leali-Claus Raible Quartet, 2008) on the TCB label. Leali’s numerous television appearances include local news programs, the Today show, Jay Leno, Arsenio Hall, BET, and the Harry Connick, Jr., Christmas Special. He performed annually for many years as part of the Kennedy Center Honors program. Leali also performed at President Obama’s inaugural celebration “We Are One.” While Brad continues teaching at UNT, he frequently performs, tours, and records. He also enjoys working as a guest artist, clinician, and adjudicator at other educational institutions. He currently tours with Lyle Lovett & His Large Band (2013-present).